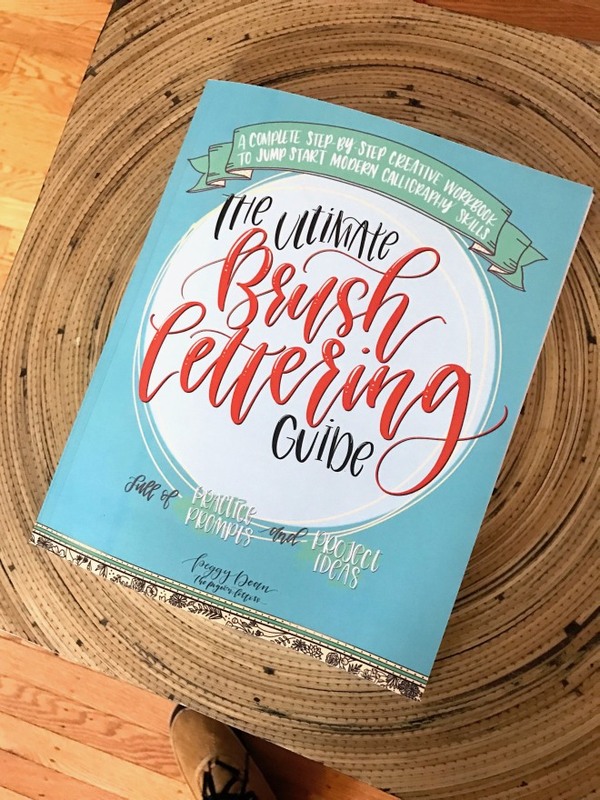 I highly recommend this book to anyone who wants to start learning brush lettering, as well as those who have been practicing for a while. I wish I had this book when I started! Something I really appreciated at the start of this book is the motivation Peggy offers. It can be easy to compare yourself to others and scary to start learning a new skill. Peggy offers encouragement to the typical fears we might have when starting to learn lettering. I love this! It can be overwhelming to choose which pens and paper to start lettering with. Peggy shares her favourite go-to supplies together with a super helpful guide on brush tip size, flexibility and control level. Something that a lot of us are confused with is the difference between handwriting, hand lettering, calligraphy and typography. The book breaks it down in an easy-to-understand way. 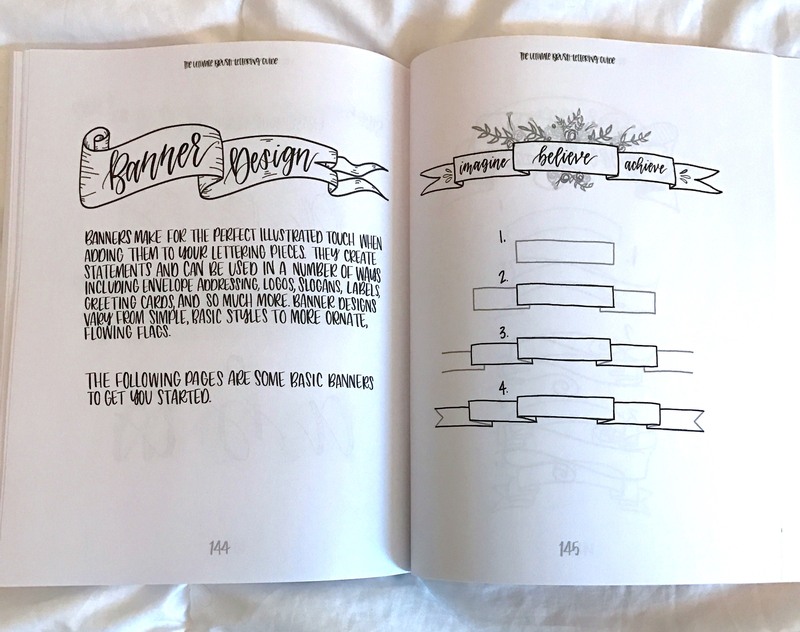 A book about brush lettering isn’t complete without showing you how to create letters, right? We learn lettering starting with a regular pencil or ball point pen. Once we are comfortable with the basics, we add weight to the characters using a nifty technique called faux calligraphy. Then it’s time to start practicing using your brush pen. 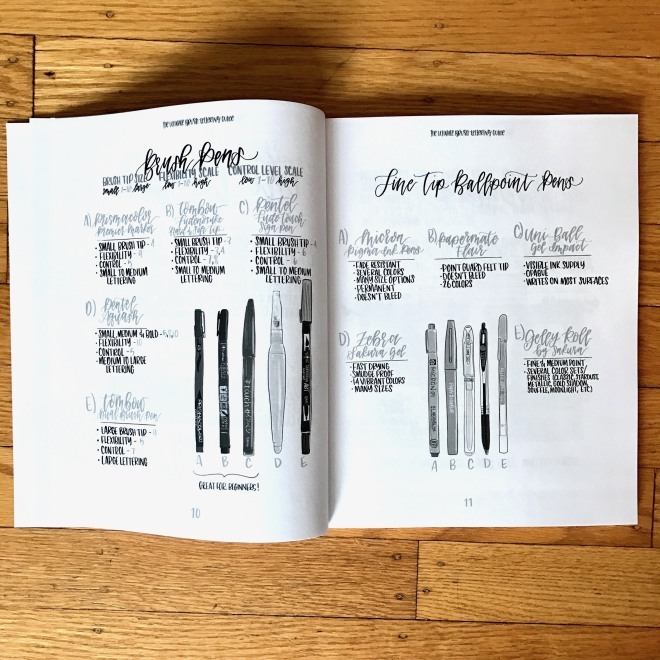 I feel that this is the best way to learn brush lettering. Learn the basics first using a regular pen or pencil and only when you feel comfortable with that, you can graduate to the brush pen. 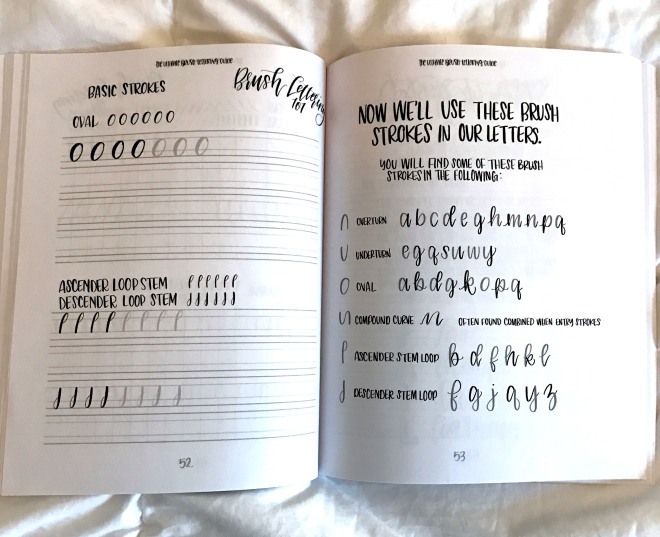 The book also comes with blank practice sheets, sheets to practice the whole alphabet, faux calligraphy and the basic strokes of brush lettering. There are even tips for left-handed aspiring letterers. 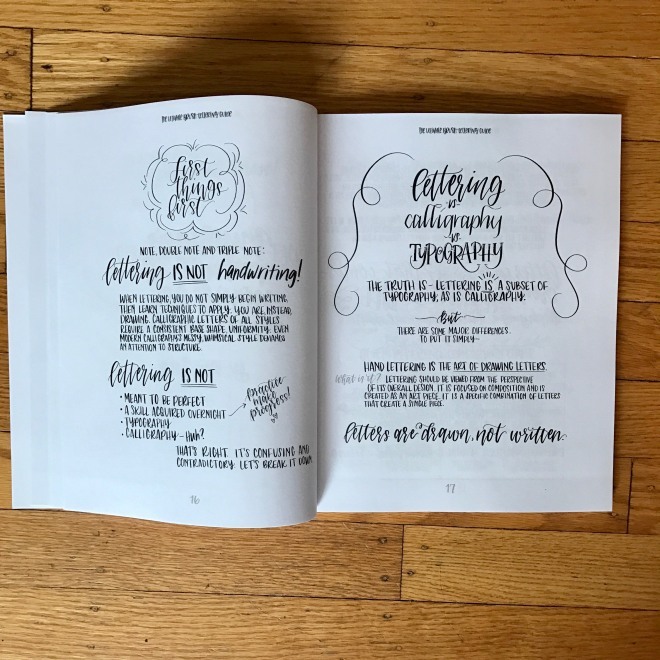 Even if you have been lettering for a while I would still encourage you to buy this book. 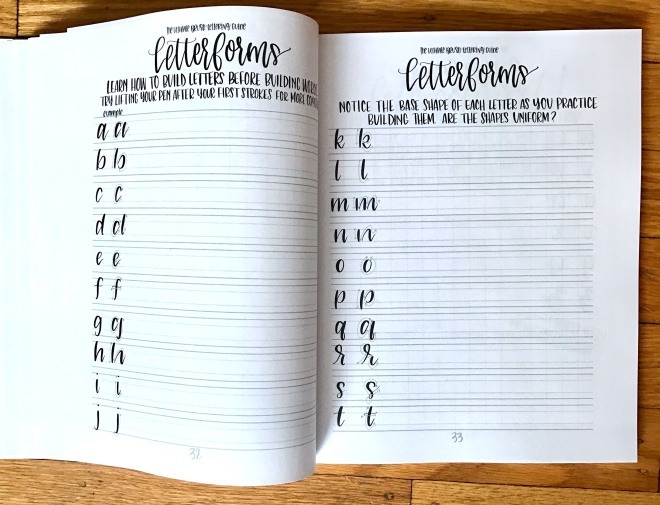 You will find 10 different ways to letter each letter of the alphabet and numerals, how to add bounce to your lettering, add swashes and practice different styles to ultimately find your own. 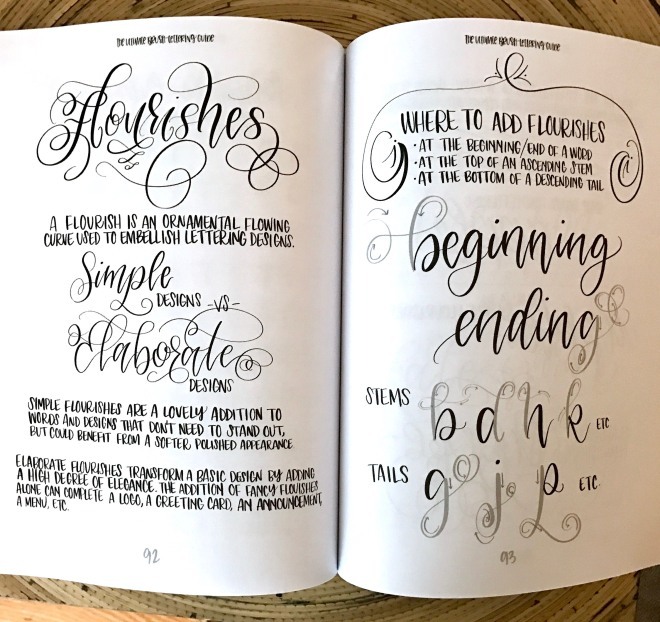 Have you ever wanted to add flourishes to your lettering but don’t know how? Peggy shows you exactly where to add flourishes in a word. Want to letter a complete sentence or a quote? Step-by-step instructions are included on how to best execute layouts. Ever wondered how Instagram letterers take such beautiful photos of their lettering? Super helpful instructions are included on what equipment to use to take your photos, how to style and enhance them. And finally, now that you have the skills, where can you use your lettering in the real world? Fun craft tutorials and included as well as how to add illustrations to your letters. 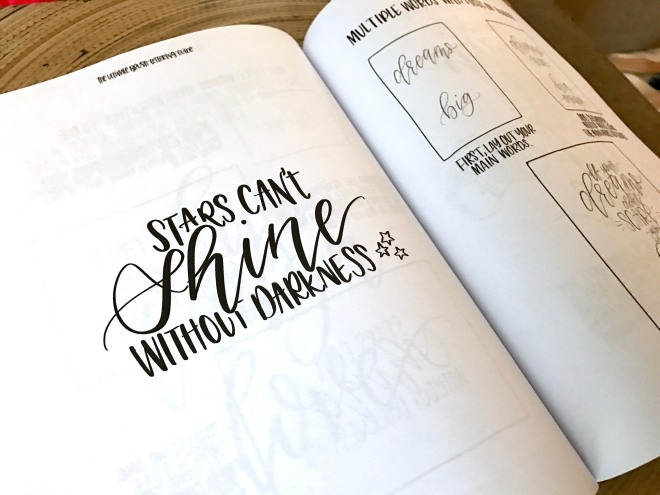 This book truly lives up to its name – if you are eager to learn brush lettering or take it to the next level, I highly recommend you check out The Ultimate Brush Lettering Guide by Peggy Dean. Photographs by Peggy Dean. Review by Carmia Cronjé. I was sent a free copy of this book to review. All opinions are my own.